Dr. Fredette teaches courses in public law and sociolegal studies at Ohio University. Broadly speaking, her research addresses citizenship, law and identity, legal consciousness, and legal mobilization. She specializes in contemporary French politics, particularly questions pertaining to Muslims in France and the French Overseas Departments of the Caribbean.Her book, Constructing Muslims in France: Elite Discourse, Public Identity, and the Politics of Citizenship (Temple University Press, 2014), explores the disconnect between how Muslims and French elites discuss citizenship, identity, and belonging. She has been published in Law and Social Inquiry and New Political Science.Dr. 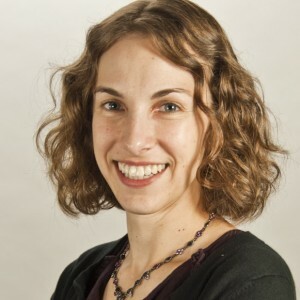 Fredette received her MA in political science (“What Not to Wear,” winner of the Stuart Scheingold Award for Best Public Law Paper) from the University of Washington and her BA in French and Political Science from the University of the Pacific. She spent Spring 2017 as a visiting researcher at the Université des Antilles (LC2S), where she conducted fieldwork as part of a project examining social movements, labor, and law in Martinique.